When you talk about amazing places of the world, it is almost criminal not to mention the Seven Wonders of the World. 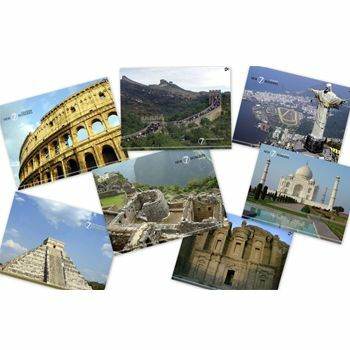 So today we bring you brief details about the places that have been titled to be the Seven Wonders of the World. 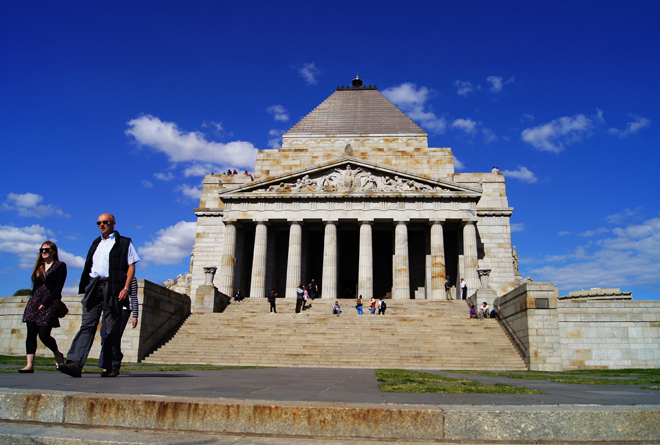 According to historians “the concept is based on a list of man-made structures built during the classical era. Scholars believe that ancient historians began compiling the list in the second century B.C. The final list of the Seven Wonders that we currently reference was defined in the Middle Ages.” These are the place that are a must see if ever given a chance to explore at least once in your life time. So people; brace yourselves and read all about the exquisite and amazing places our globe beholds. The Great Pyramid is the biggest amongst the 3 pyramids structured in the ancient city of Giza, and is now situated in the city of Cairo, Egypt. 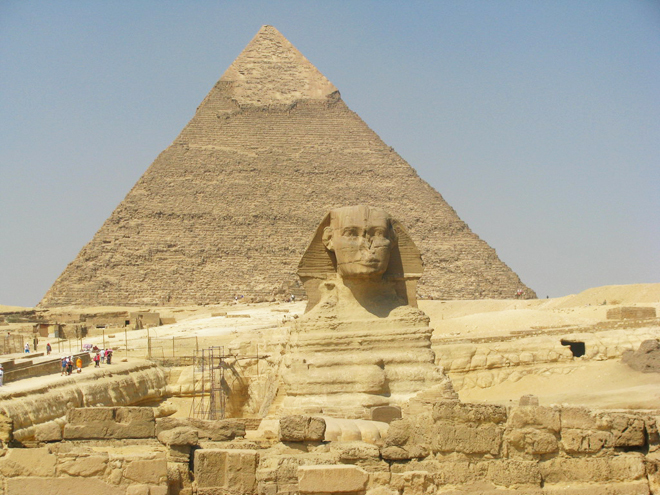 The pyramid is said to have been built around 2560 B.C. for the Egyptian Pharaoh Khufu which probably too 20 years to build. After it was established, the pyramid was nearly 480 feet high, with each side of about 755 feet. Moreover, each side is structured with one of the cardinal points (north, south, east and west).An estimate of about 2.3 million blocks of stone, each weighing approximately 2 tons is what makes up one pyramid. The pyramid was known to be the world’s tallest building for 4 millennia after it was built. The Hanging Gardens of Babylon are said to have been constructed by a ruler of Babylon around 600 B.C. Although there is no specific evidence for their origin, many argue that the gardens contained arched terraces raised on top of one another which were supported by marble pillars which amount to be an artificial rising mountain of gardens. The terraces were packed with dirt on top of which trees and flora were grown, which were said to be numerous in number and would hang over the sides. The astonishment over the gardens stems from an amazingly difficult irrigation system, which used to bring water from the Euphrates to the gardens in the area which was naturally arid. 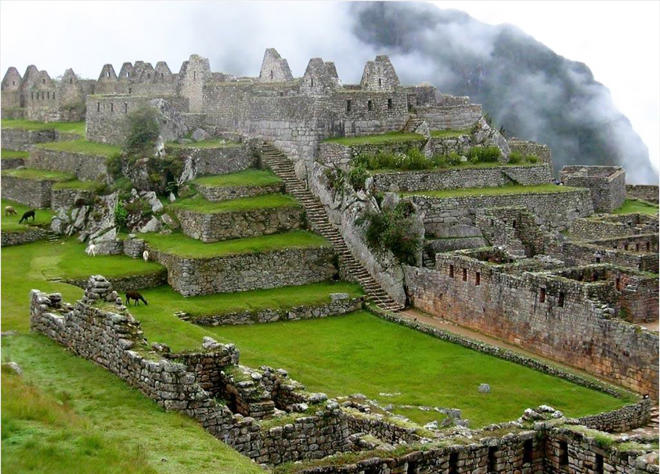 It is said that the gardens were destroyed by an earthquake around the first century B.C. The temple was established around 550 B.C. to pay respects the Greek goddess of hunting and nature, during the Achaemenid Dynasty of the Persian Empire. It was unfortunately destroyed in 356 B.C. The remains of that place are still there. 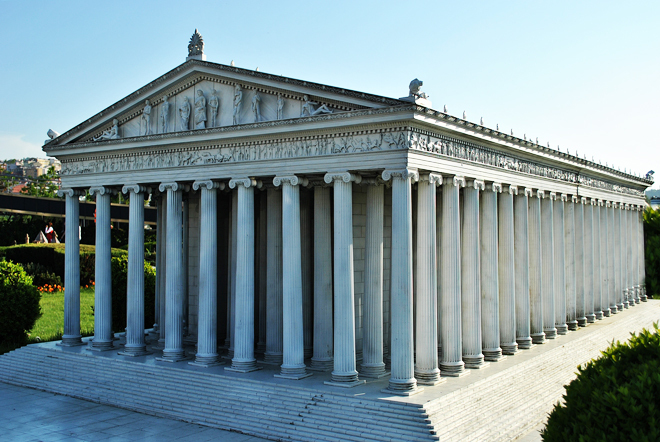 According to books “The ancient author and philosopher Pliny described the temple as being 377 feet long and 180 feet wide (about 3 times the size of the Parthenon), with 127 Ionic columns measuring 60 feet high, and made solely of marble”. The temple housed numerous works of art and sculpture and was used as a market place as well as a place forworship. This massive sculpture honoring the god Zeus was established at the Temple of Zeus in Olympia around 450 B.C. deliberated by the Greek sculptor Pheidias, the statue of a seated Zeus measured 40 feet tall and was engraved from ivory with gold-plated accents. The statue reflects him to be seated on a throne studded with jewels, beholding a statue of Nike(goddess of triumph) in his right hand and a scepter with an eagle in his left hand. No one really knows how it was destroyed but many argue that the statue was brought to Constantinople, where it was ruined in a fire in A.D. 462. This tomb was built to carry the remnants of the Persian king Mausollos and his wife, Artemisia, and was designed by the Greek architects Satyrus and Pythius around 353 B.C. The tomb was situated 135 feet high, and its outer surface was covered by an ornamental wall painting. Several earthquakes eventually led to the devastation of the tomb in the 14th century. 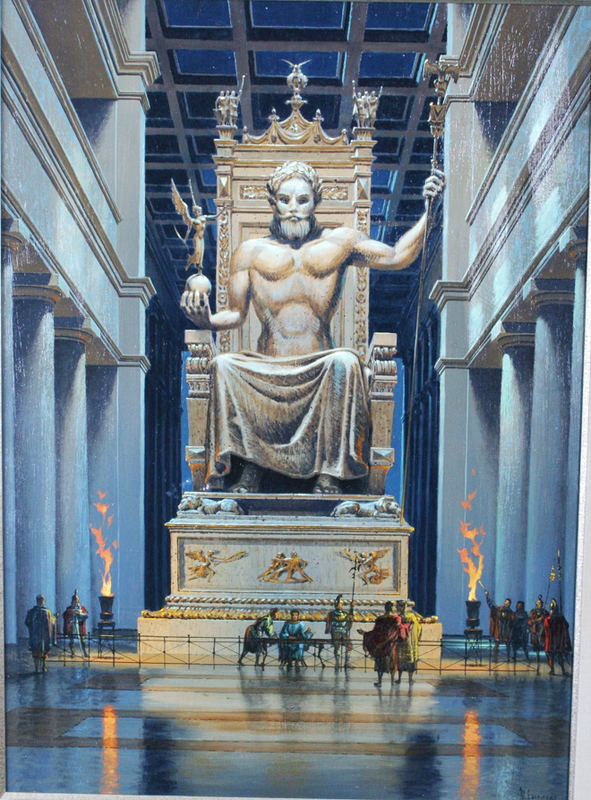 The Colossus of Rhodes was truly a gigantic, frightening 100-foot tall statue of the Greek god Helios, built around 280 B.C. 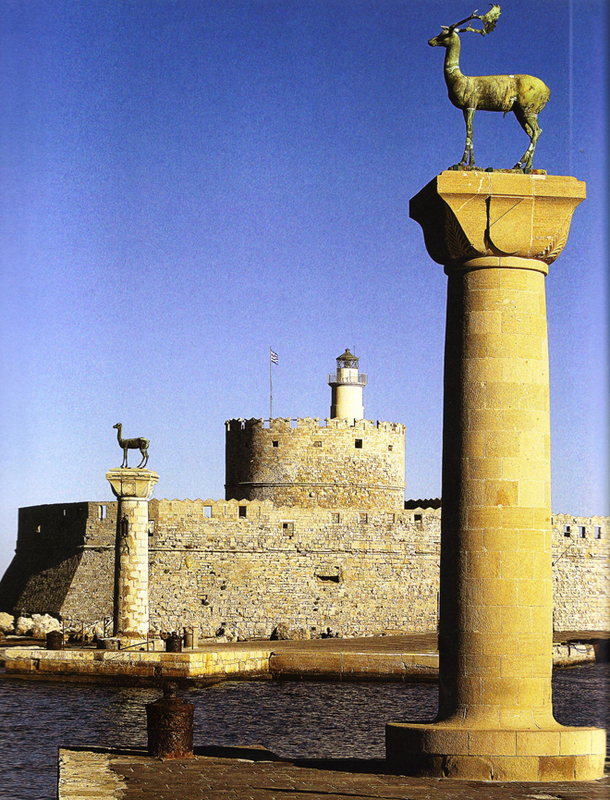 Critics believe that the statue stood either on a podium at the opening to an islands harbor or on a breakwater in the harbor. An earthquake shattered the statue in 226 B.C. 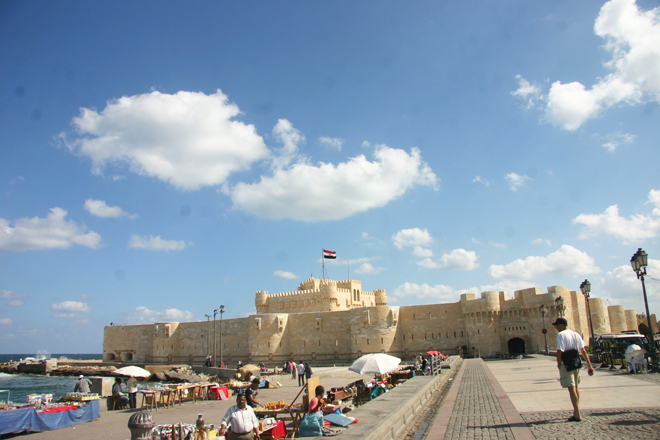 Scholars estimate the Lighthouse of Alexandria was built in the third century B.C. to symbolize the landmark for Pharos, a minute island off the coast of Alexandria, Egypt. The lighthouse’s tower was structured using mildly shaded stone, and at the top, a mirror was positioned to reflect sunlight during the day while at night a fire was ignited to give off light. The lighthouse was damaged by 2 earthquakes in 1303 and 1323.